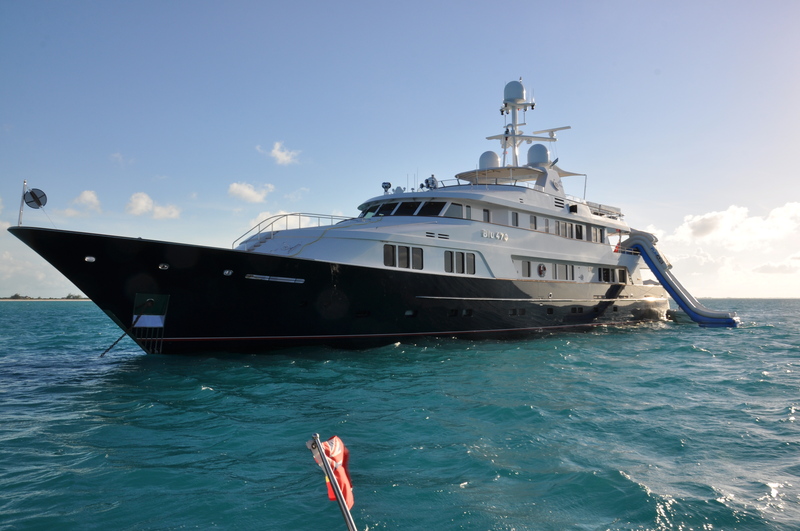 Luxury Yacht BLU 470 (ex Broadwater, Inevitable) is a 49 m displacement steel hulled Feadship which was launched in 1990 but has enjoyed a 2008/14 complete rebuild. 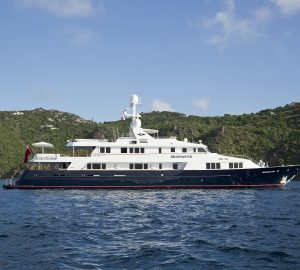 Designed by De Voogt, she features interiors by Patrick Knowles. 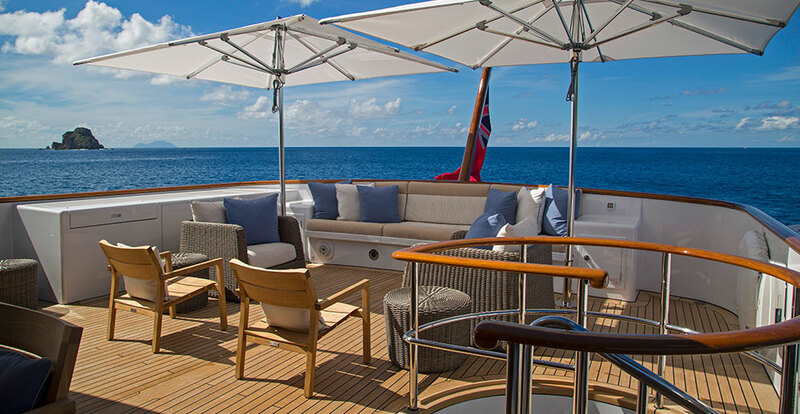 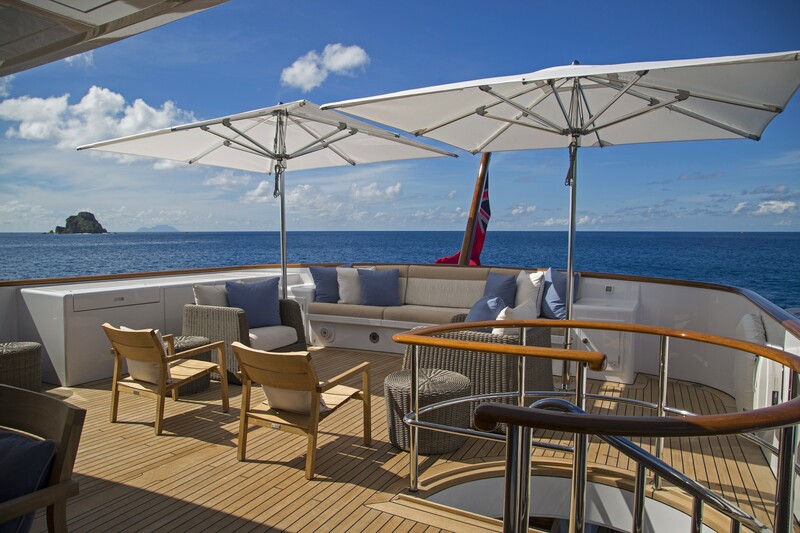 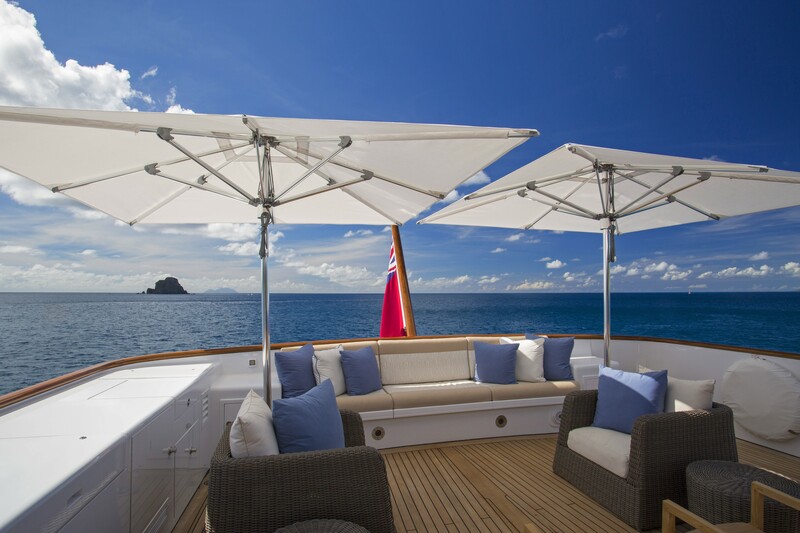 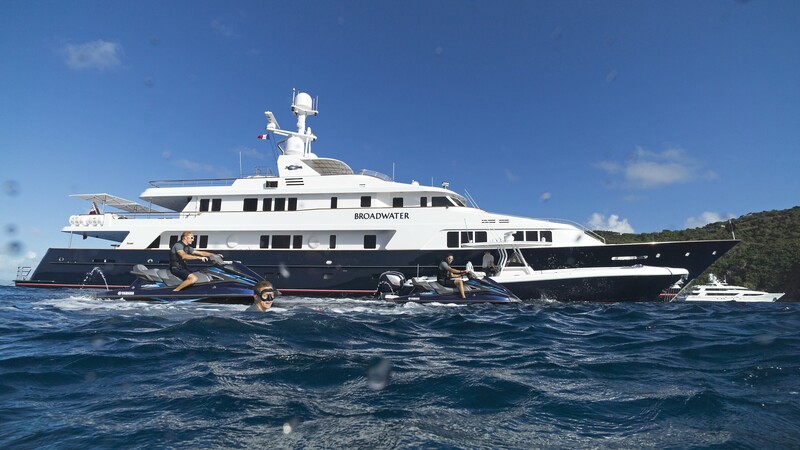 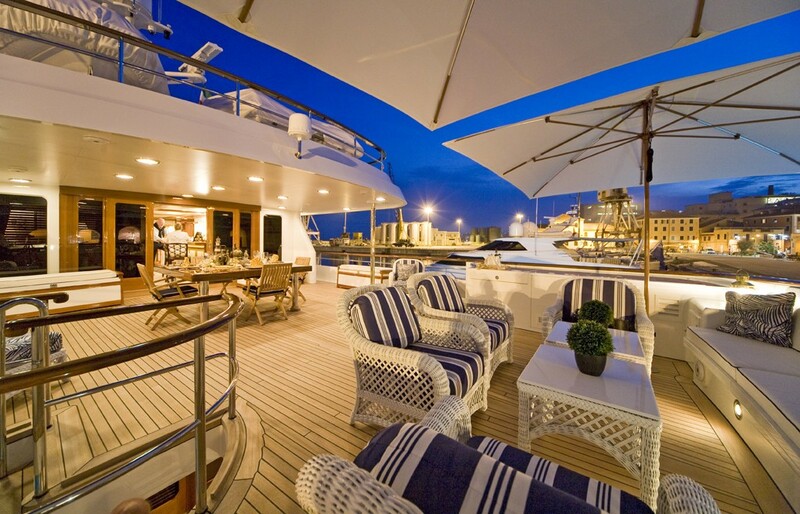 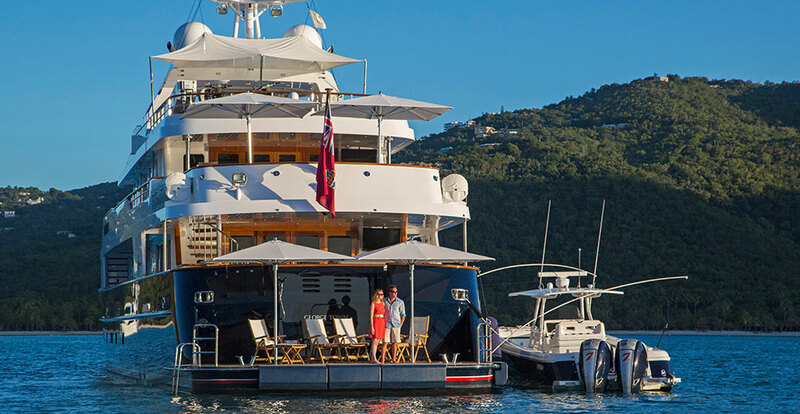 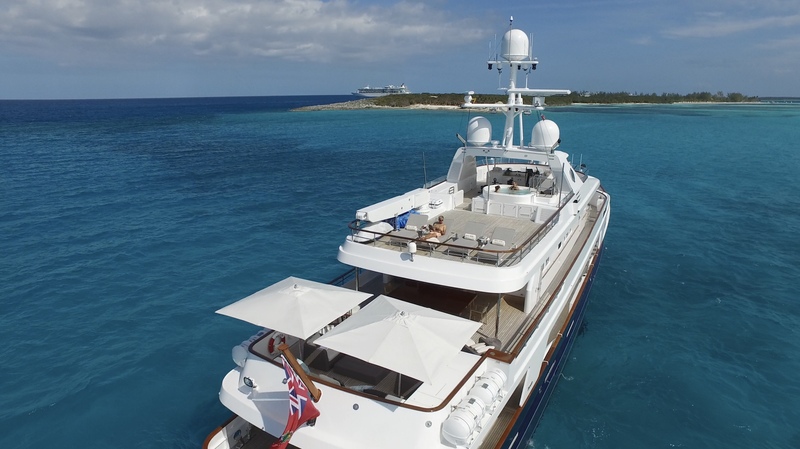 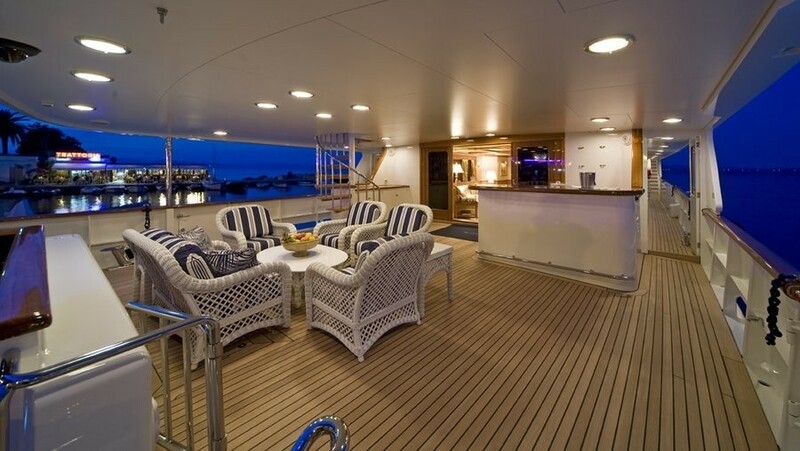 She accommodates up to 10 yacht charter guests in luxurious comfort. 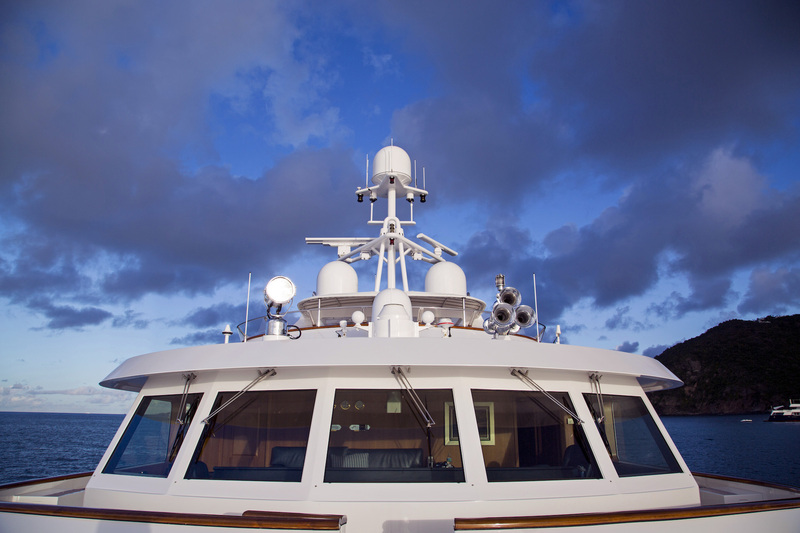 The yachts rebuild at the famous Feadship yard in Holland took 18 months to complete. 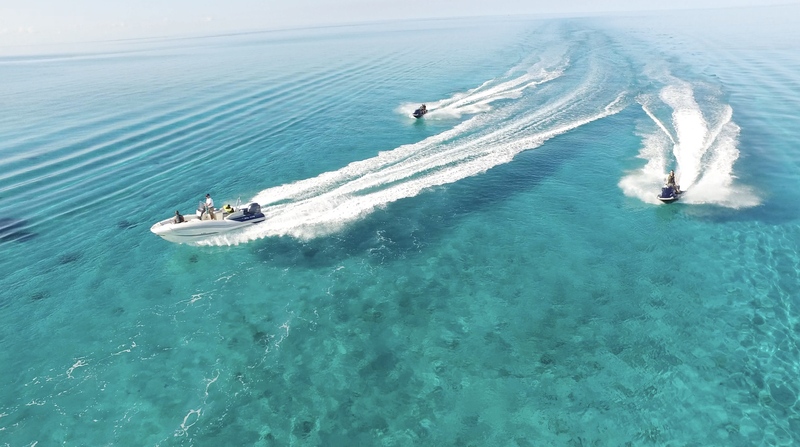 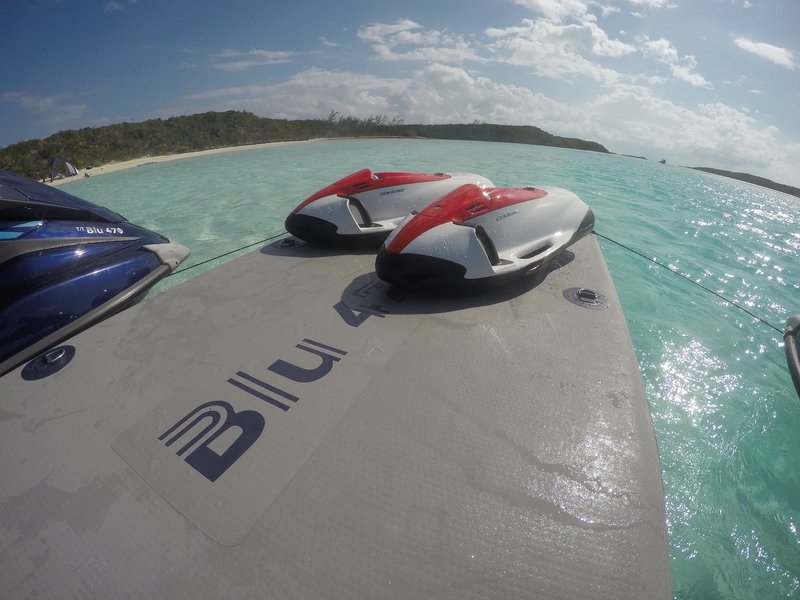 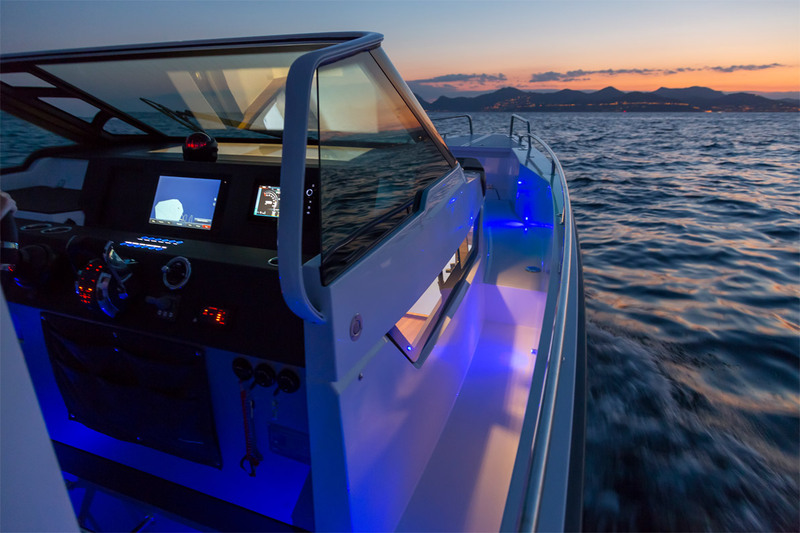 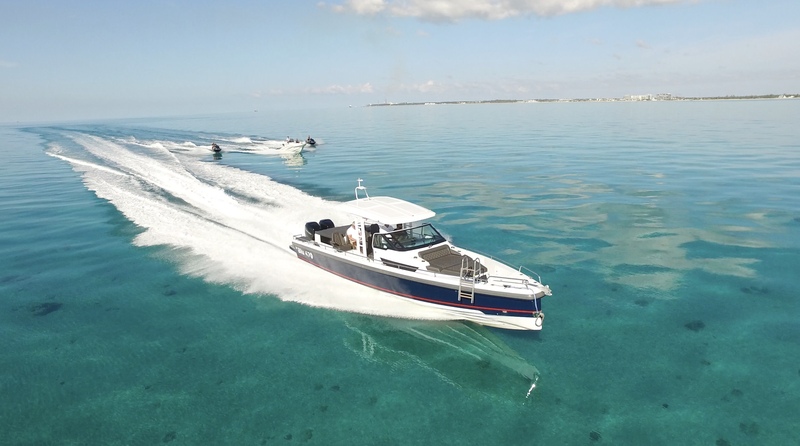 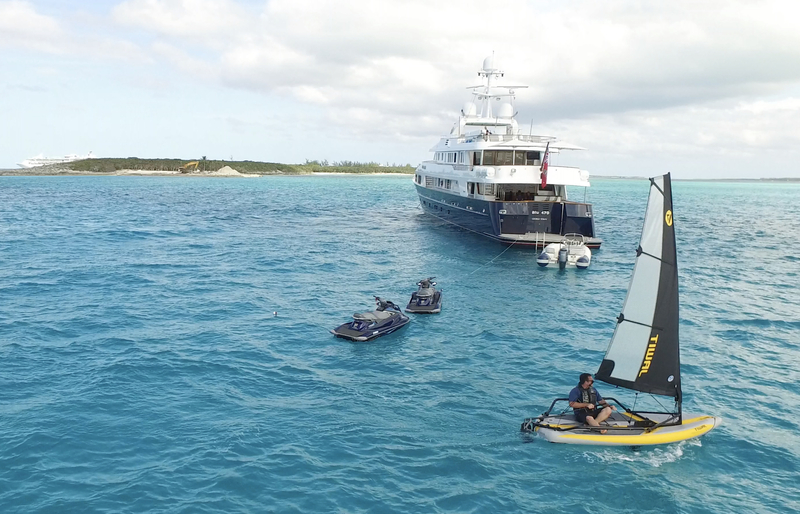 BLU 470 is brand new from bow to stern including all new tenders and toys, comfort features such as zero speed stabilizers and modern conveniences such as WIFI and Kaleidoscope A/V. 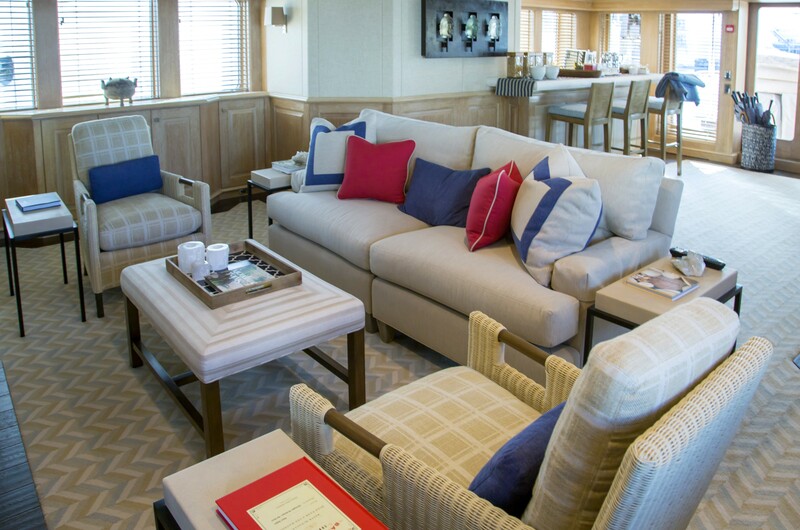 The yachts comfortable and formal salon features tasteful new furniture with light soft furnishings complimented with antiques and original oil paintings. 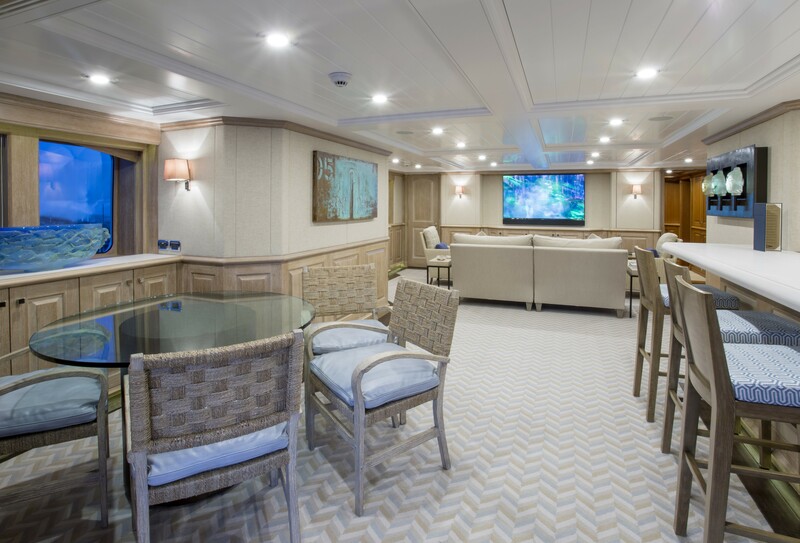 The salon offers surround sound music and an IPOD jack. 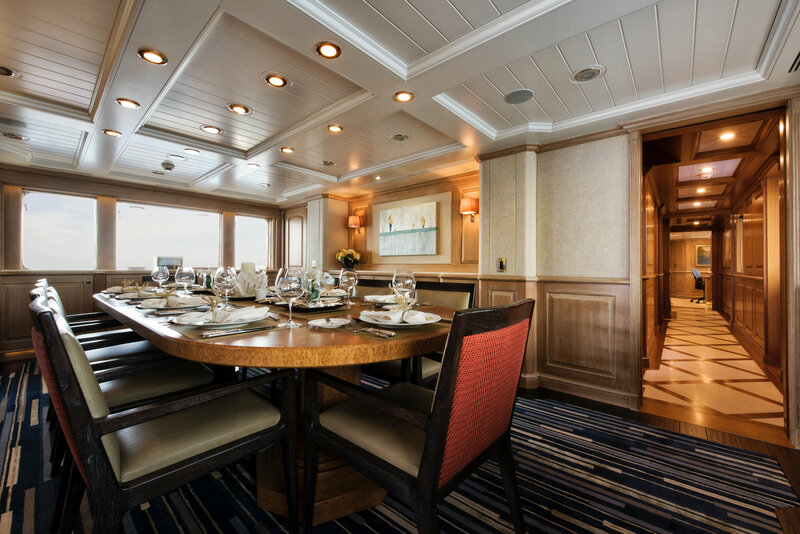 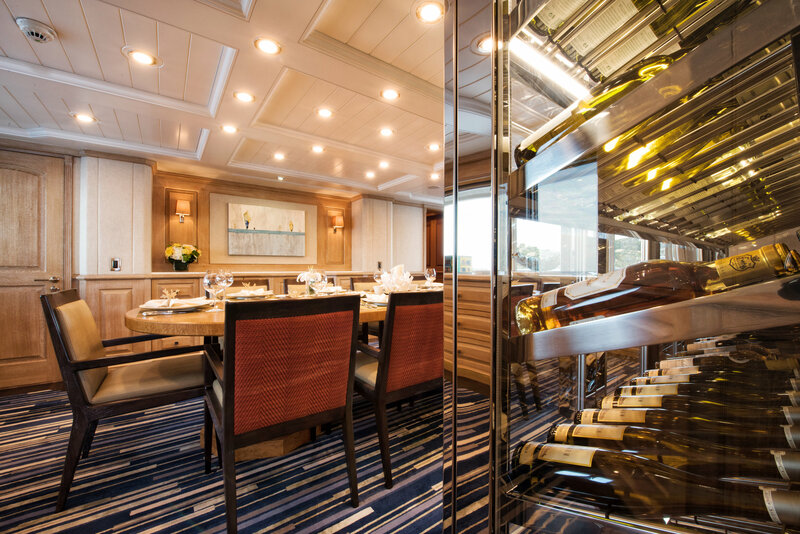 The formal dining room offers seating for 10 guests and there is a convenient forward. 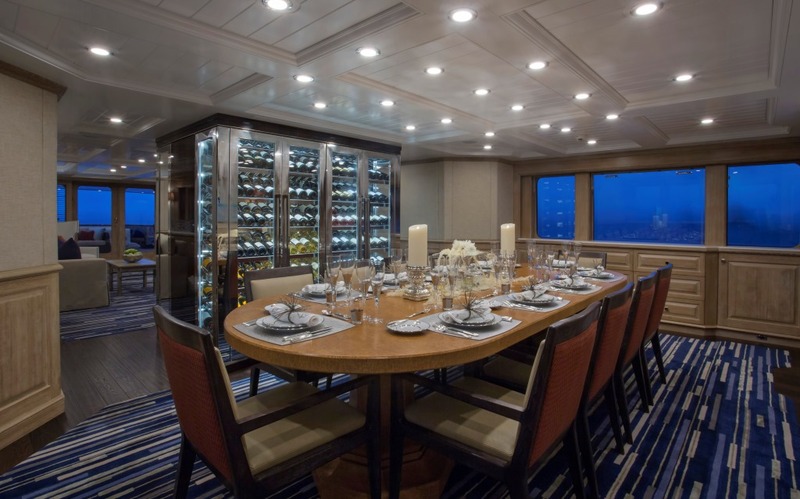 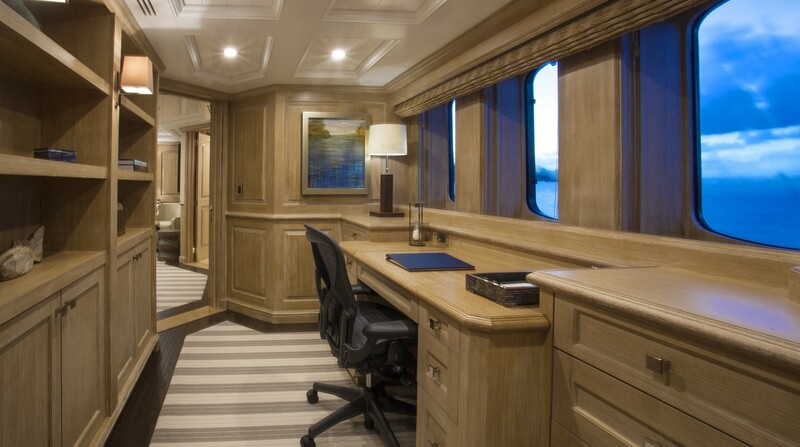 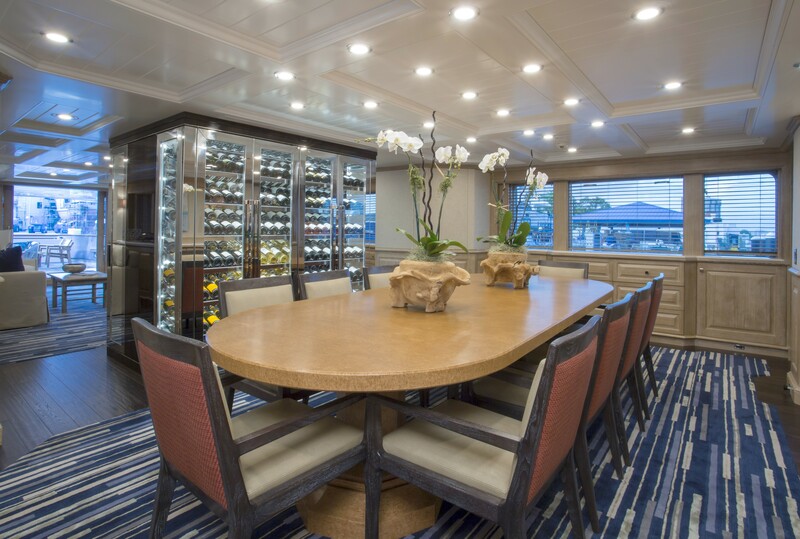 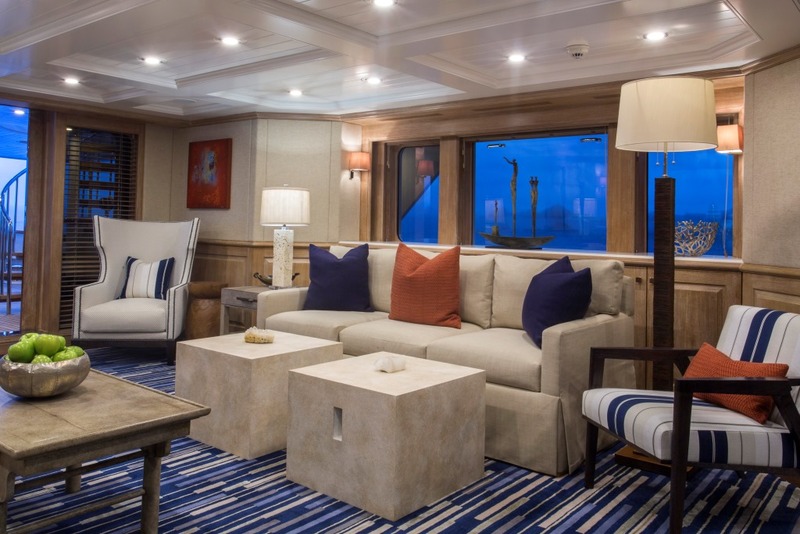 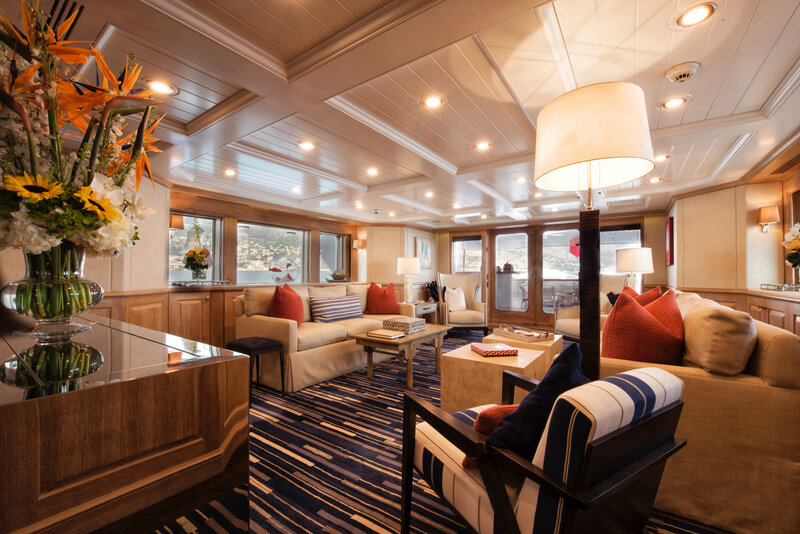 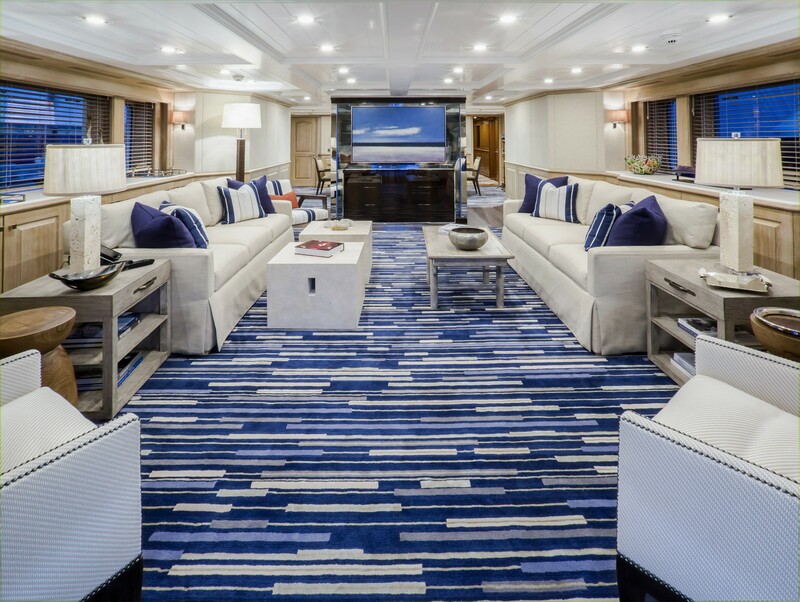 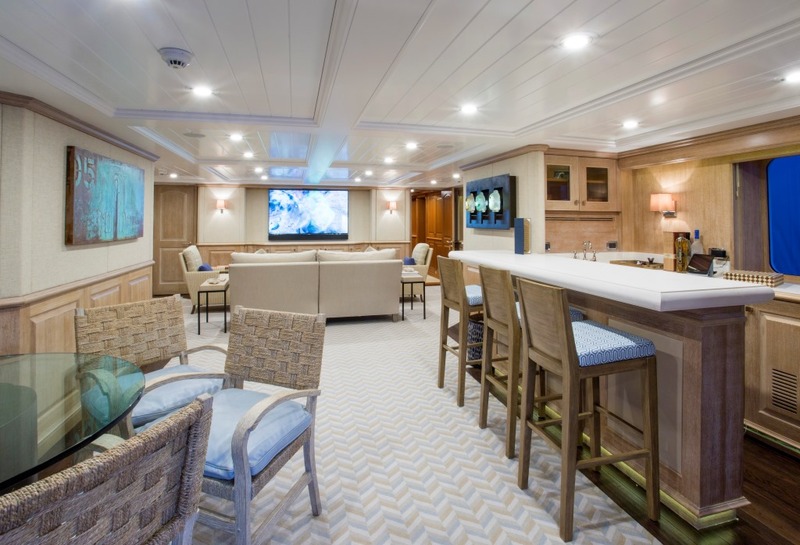 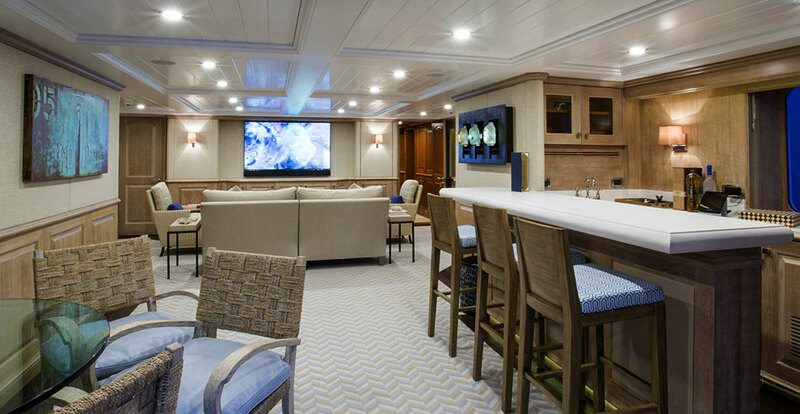 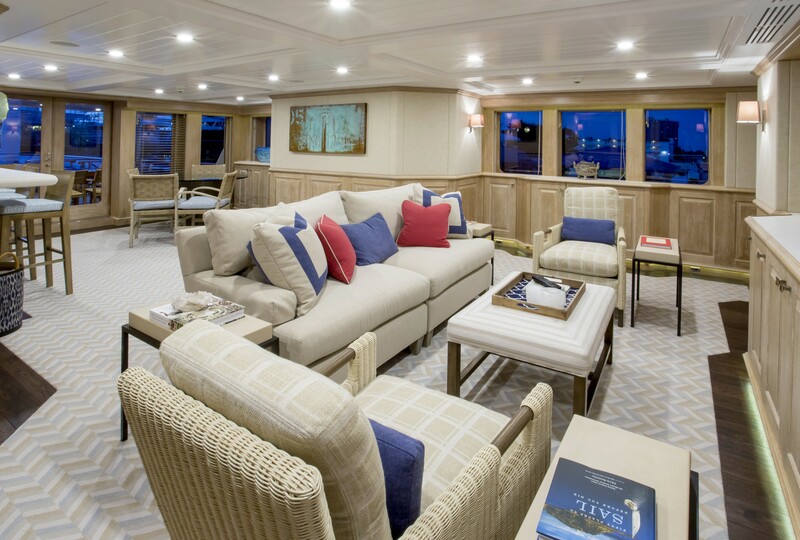 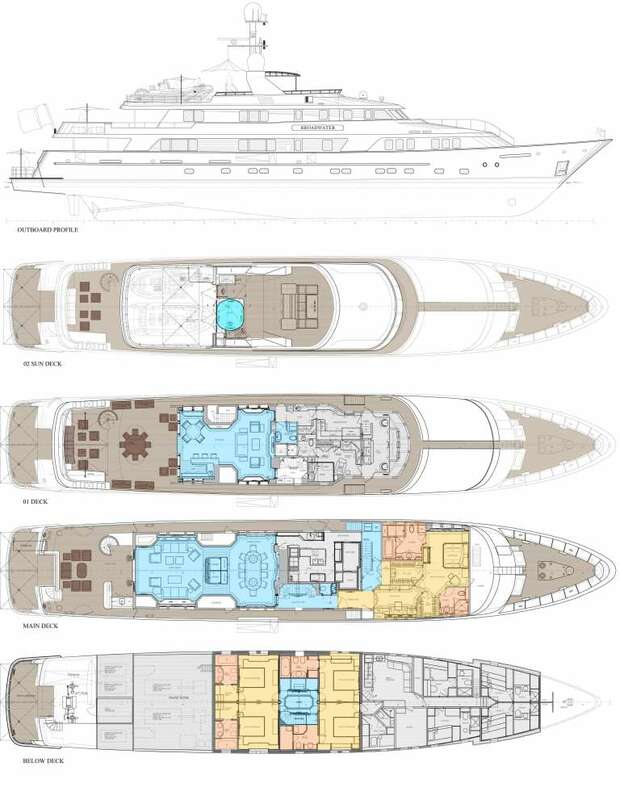 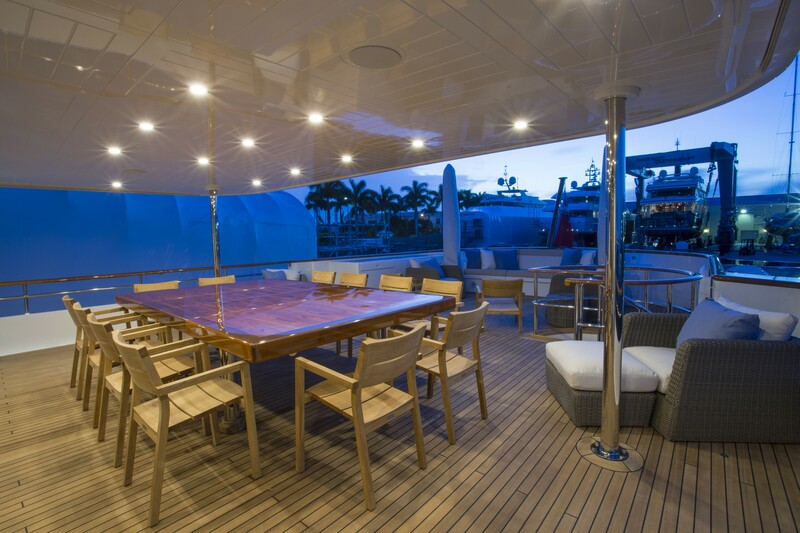 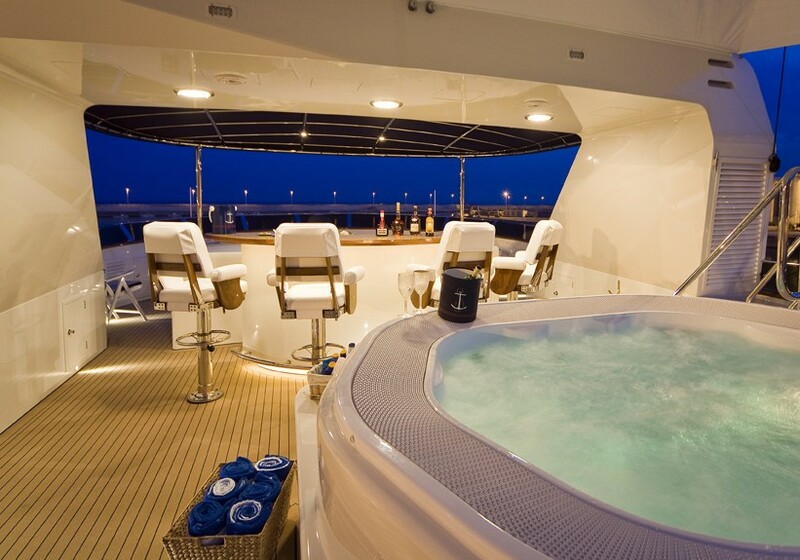 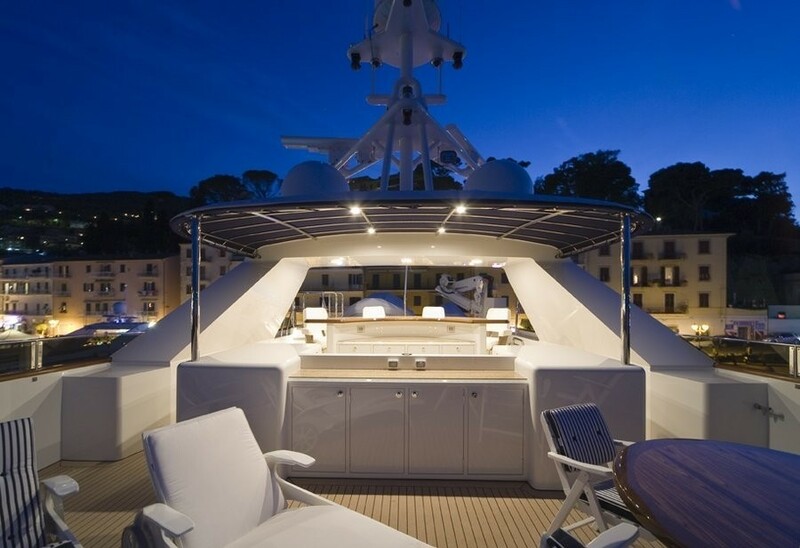 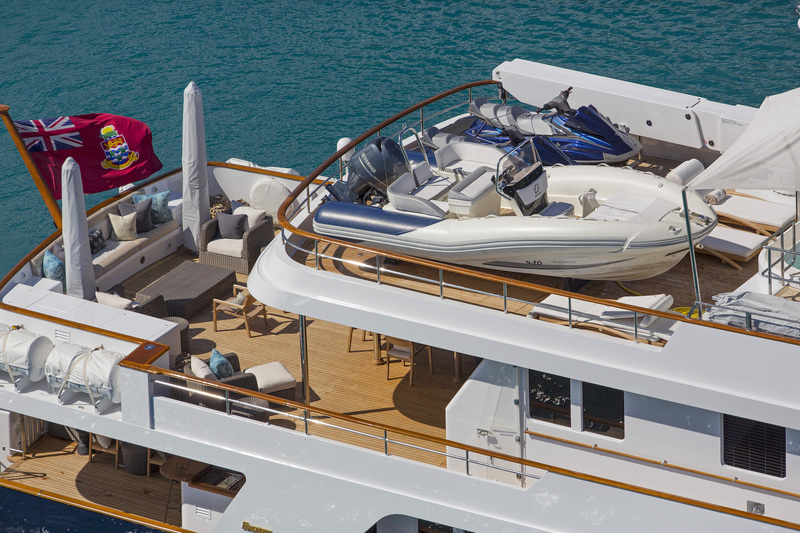 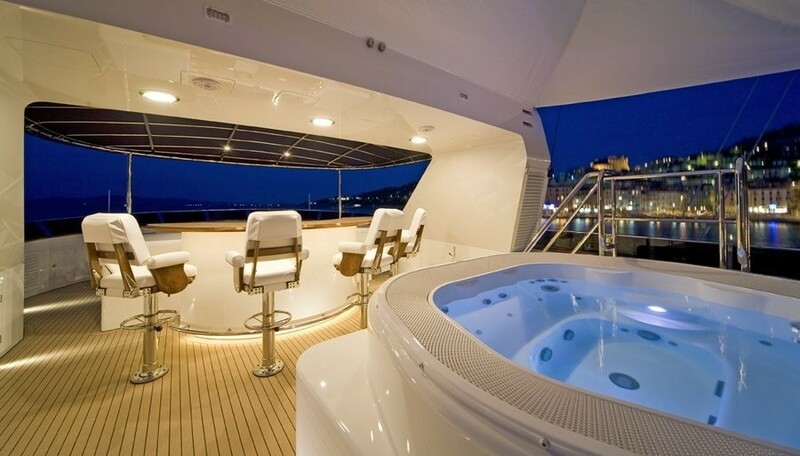 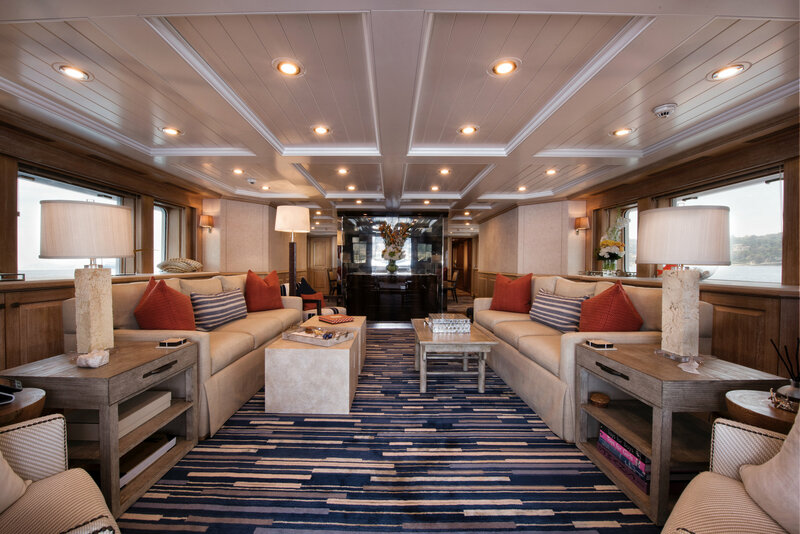 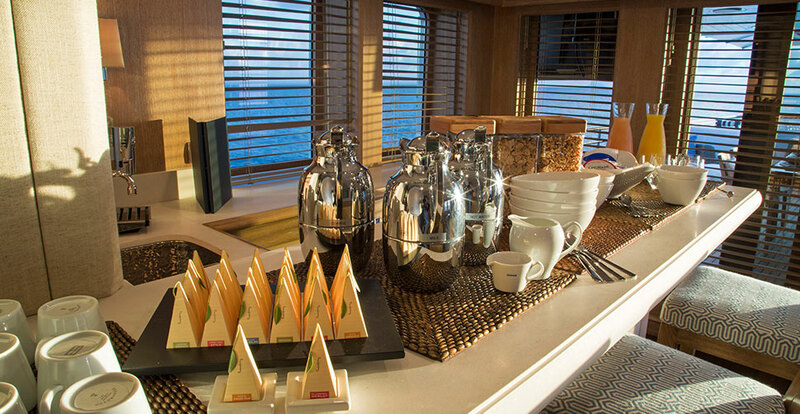 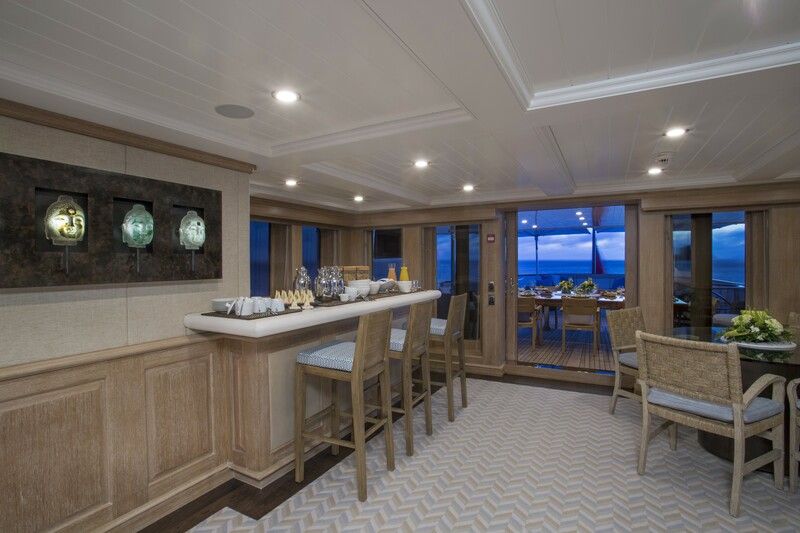 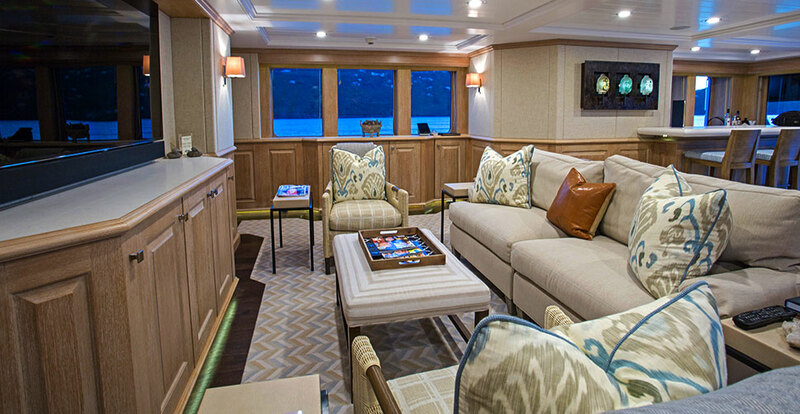 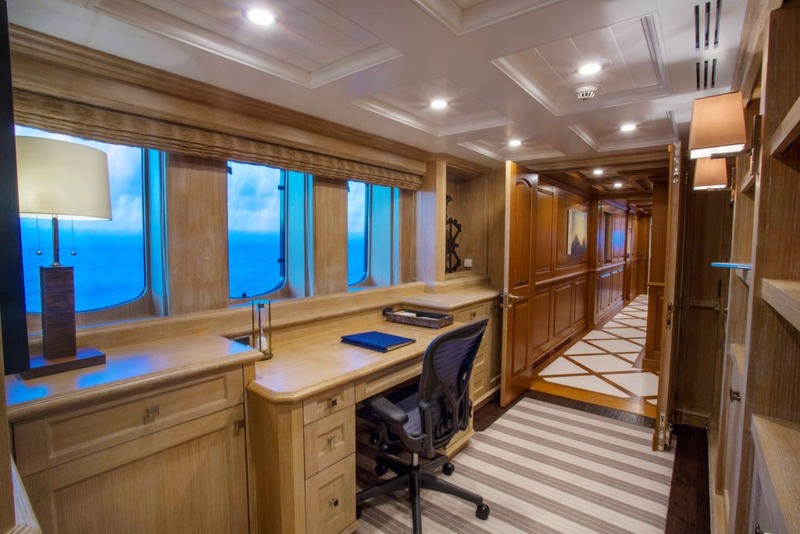 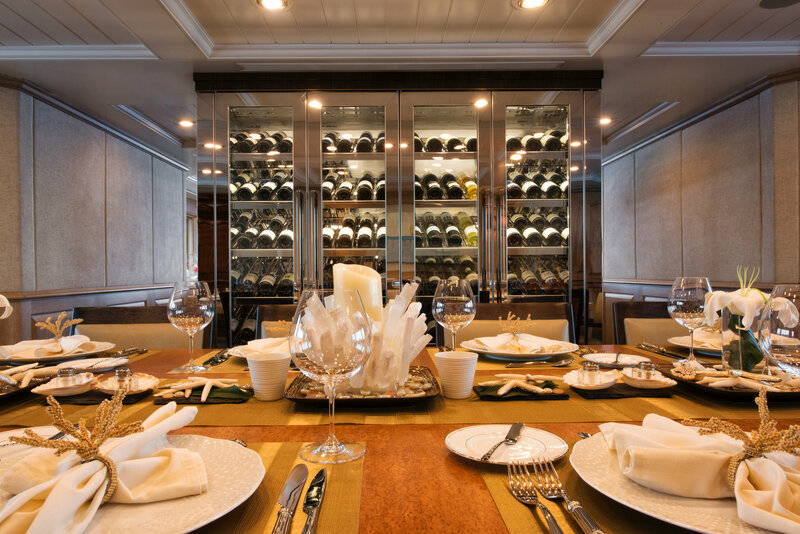 M/Y BLU 470’s Skylounge has a wet Bar with 3 stools and a Powder room forward. 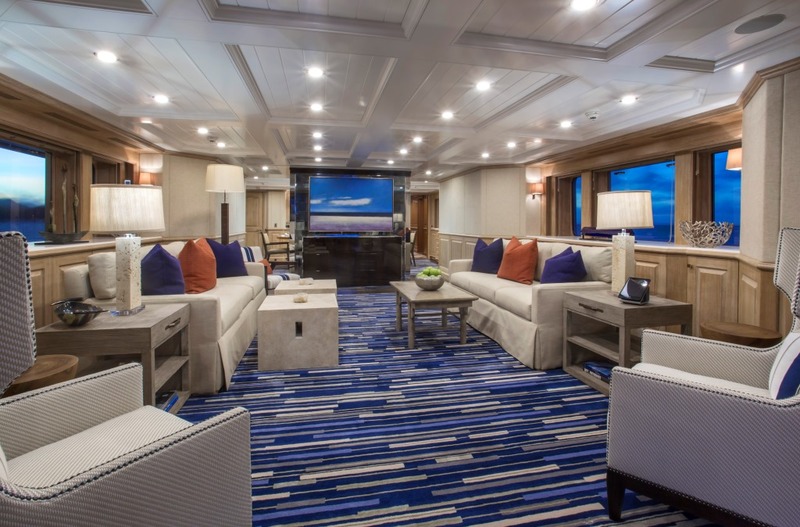 The sky lounge is the perfect entertainment hub with a Game table, a large plasma TV with surround sound and multi region SAT/TV with Kaleidascape A/V, movies, music, book libraries, board games and IPOD docking. 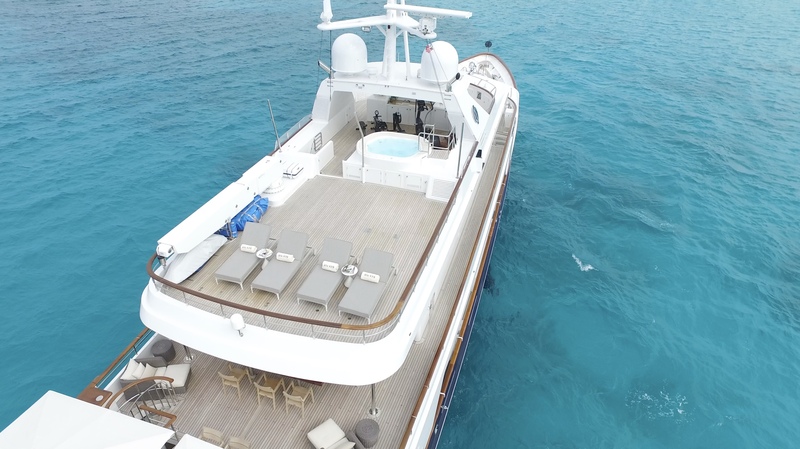 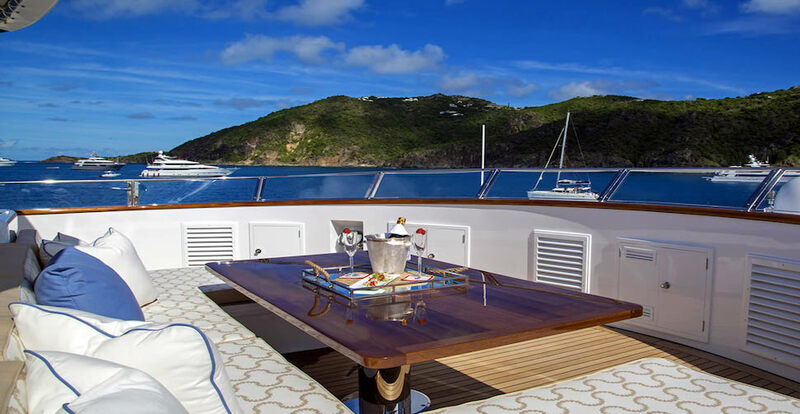 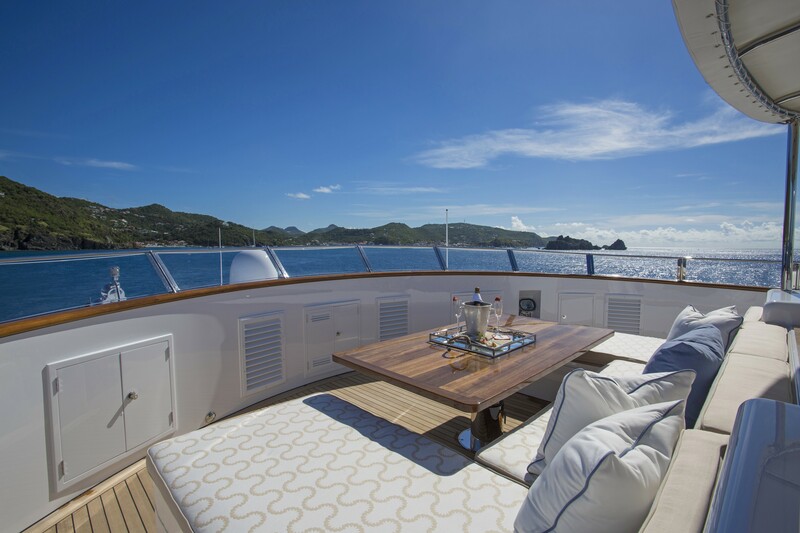 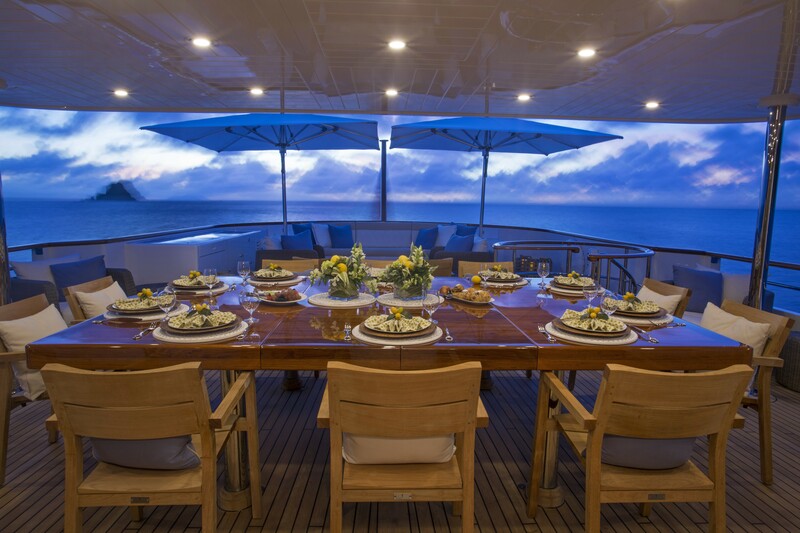 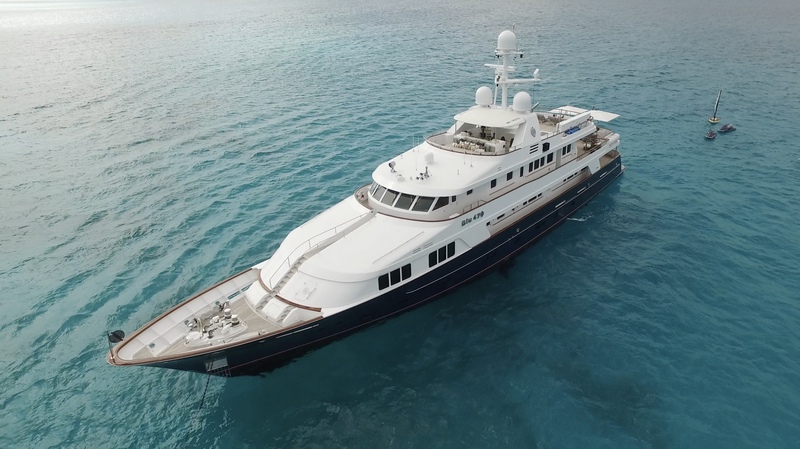 The BLU 470 yachts Aft deck has a wet bar and casual seating for 6 guests however it is the upper aft deck which offers a large and private deck space for el fresco dining for 10 as well as casual seating for 10. 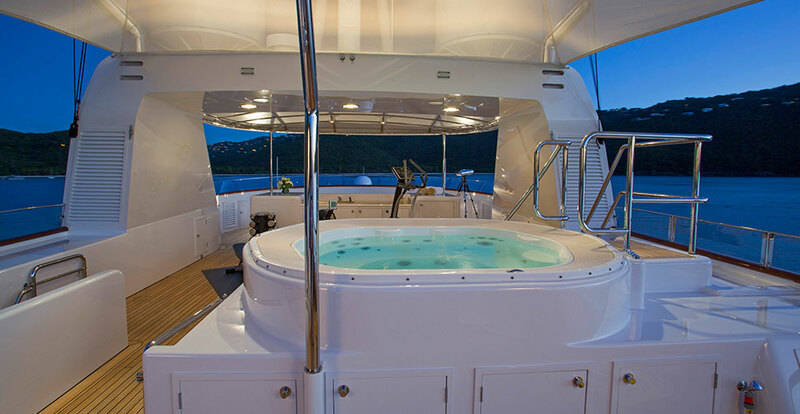 Motor yacht BLU 470’S Sun deck boasts large comfortable sun pads and lounge chairs, not to mention a Spa Pool and wet bar. 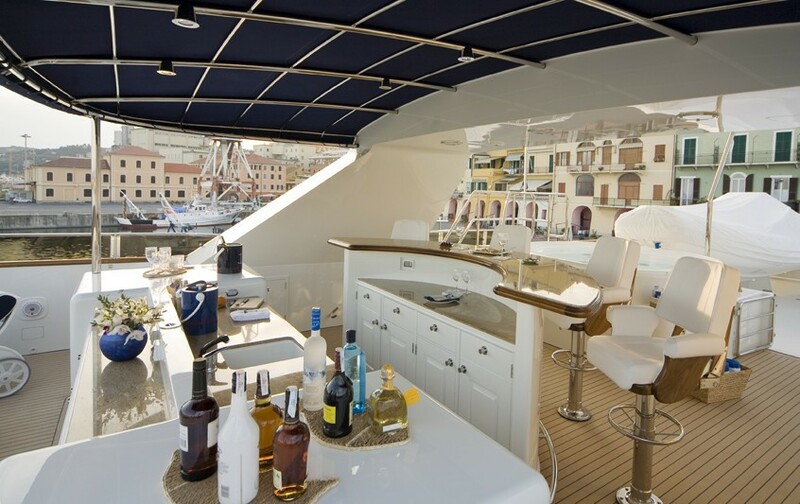 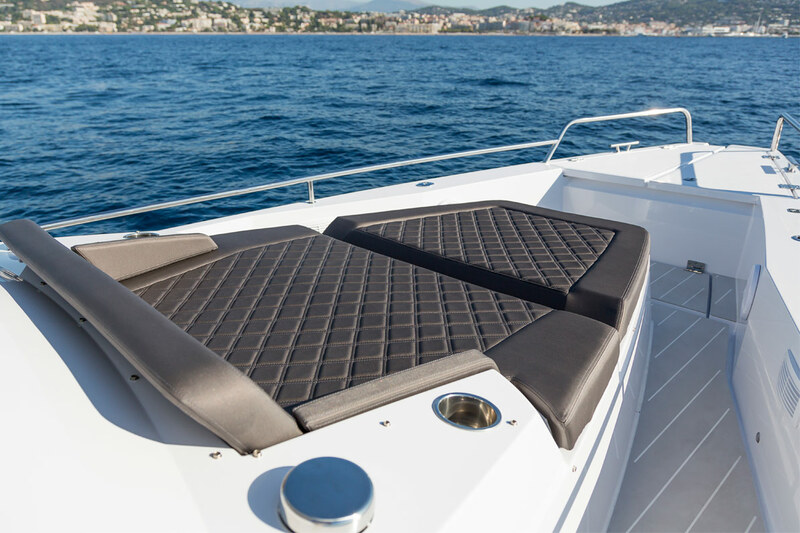 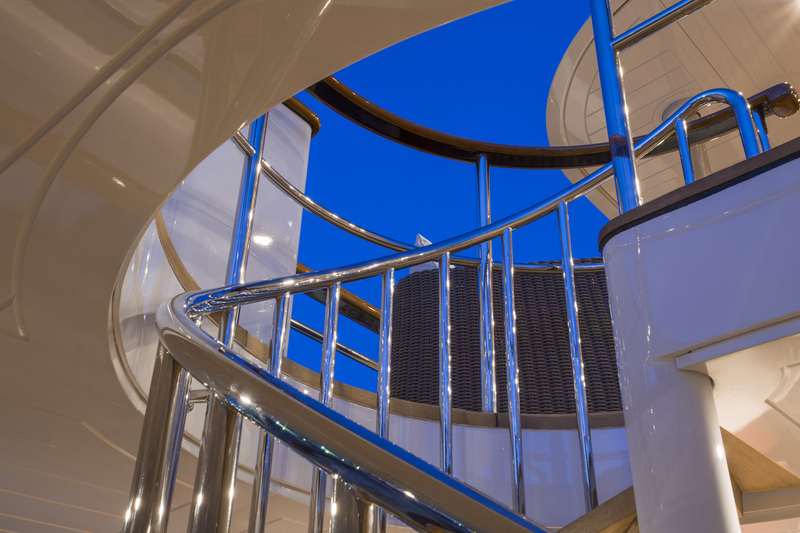 It is possible to board BLU 470 via the Passerelle on the stern or on the Port and starboard sides. 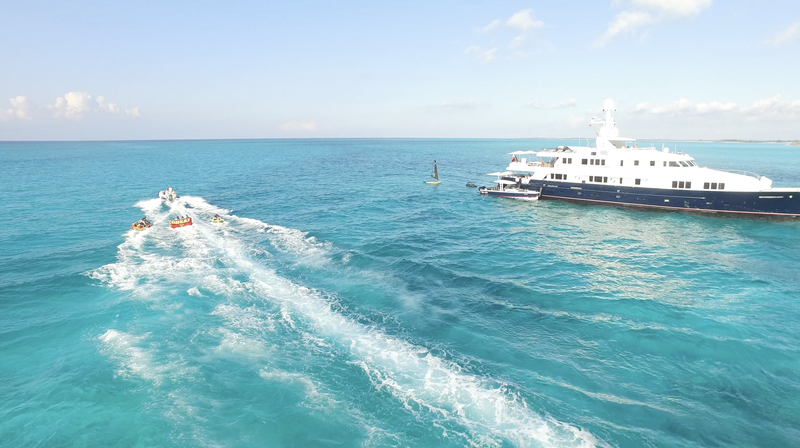 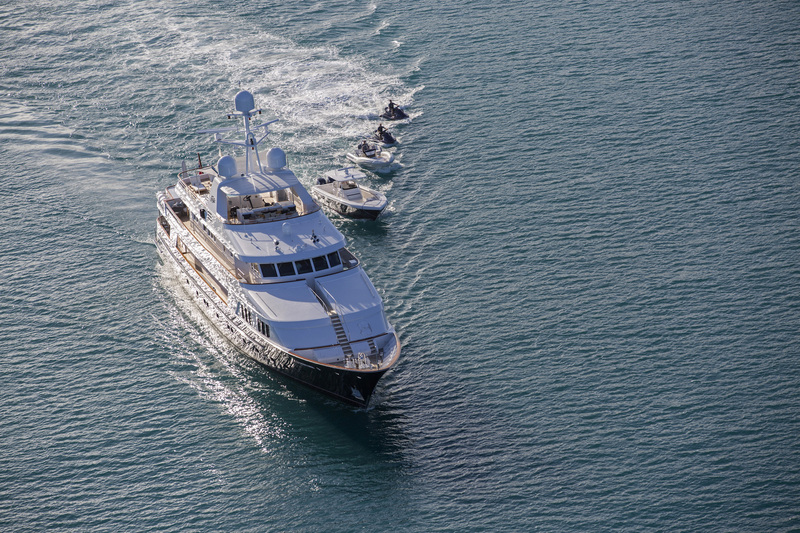 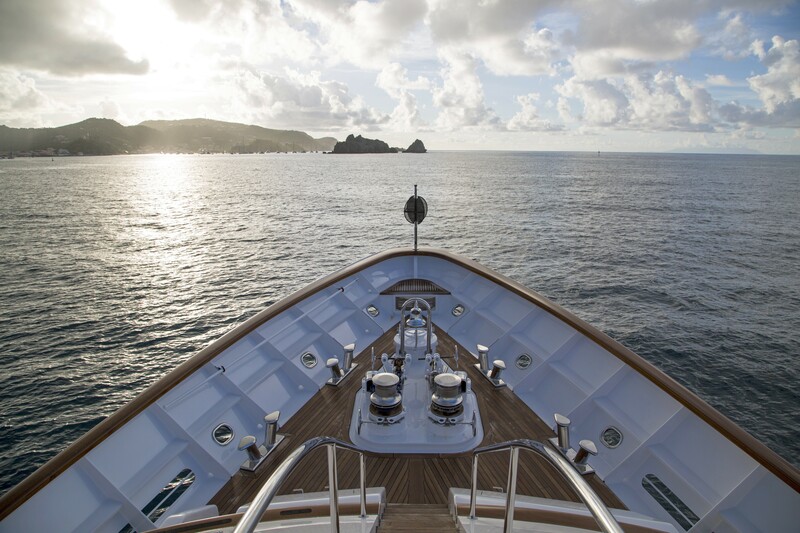 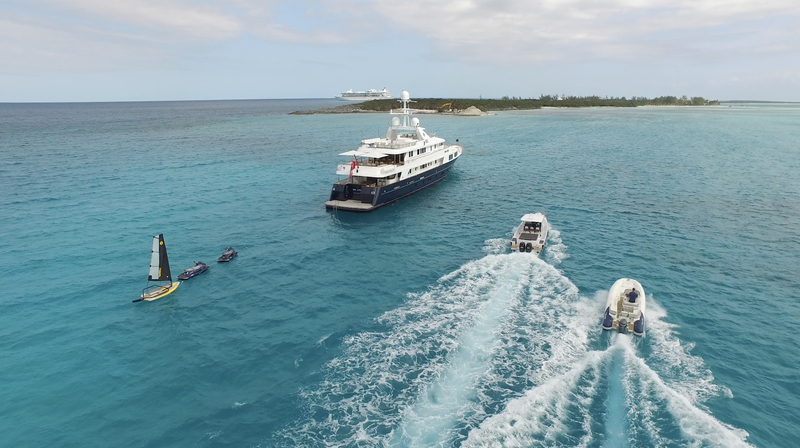 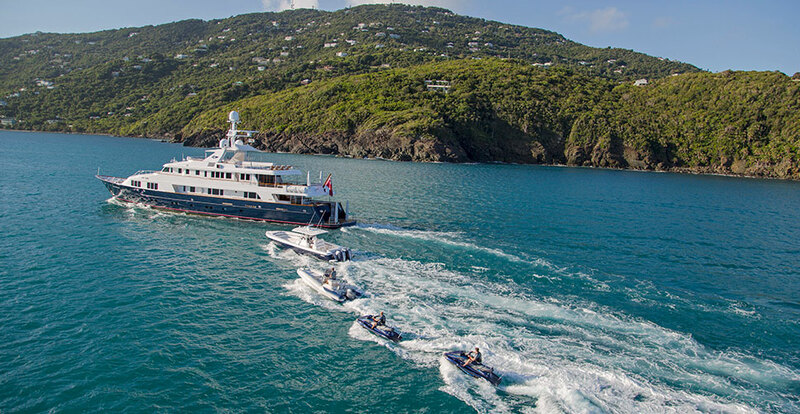 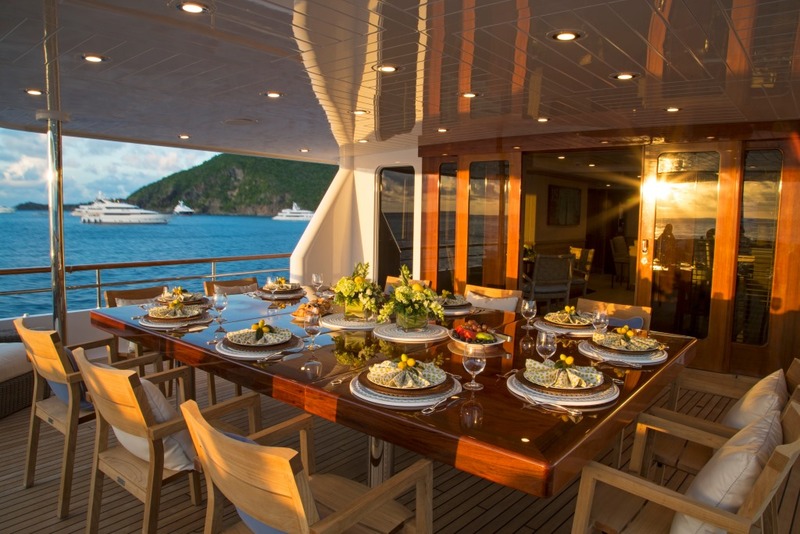 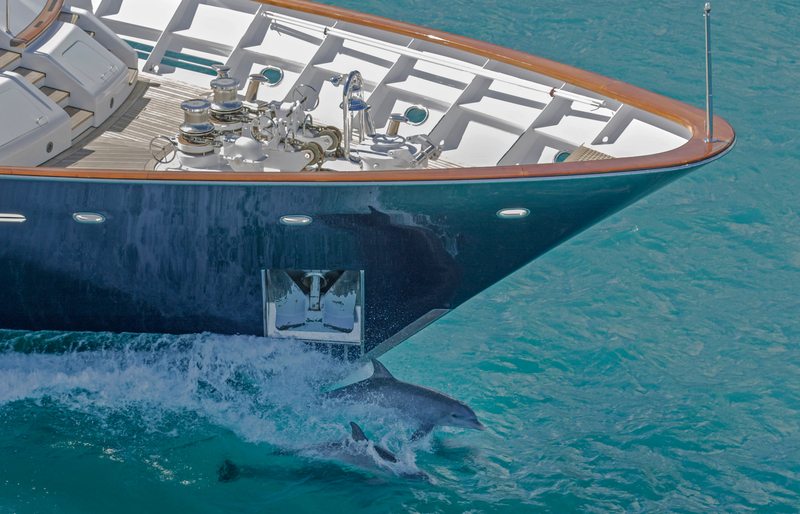 Luxury Feadship BLU 470 can accommodate up to 10 guests in 5 staterooms. 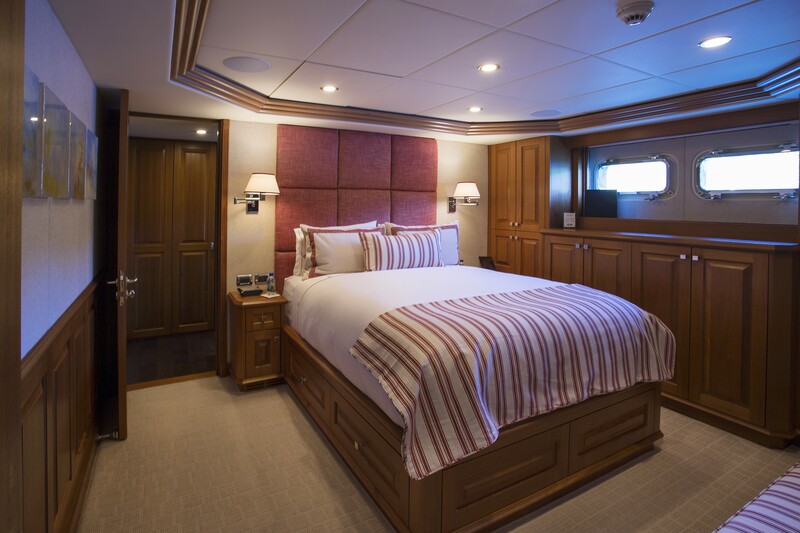 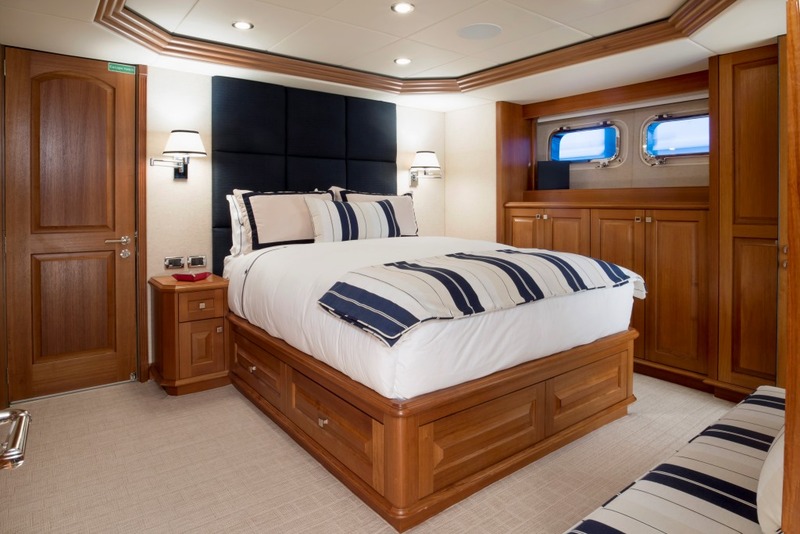 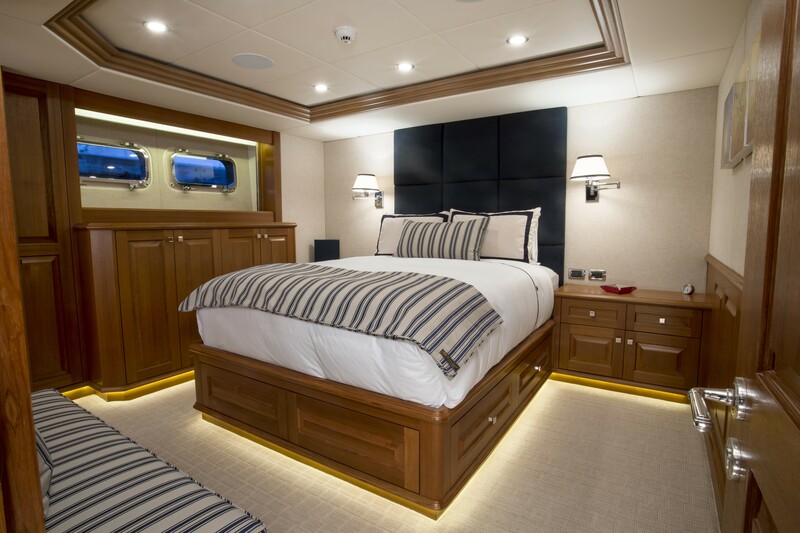 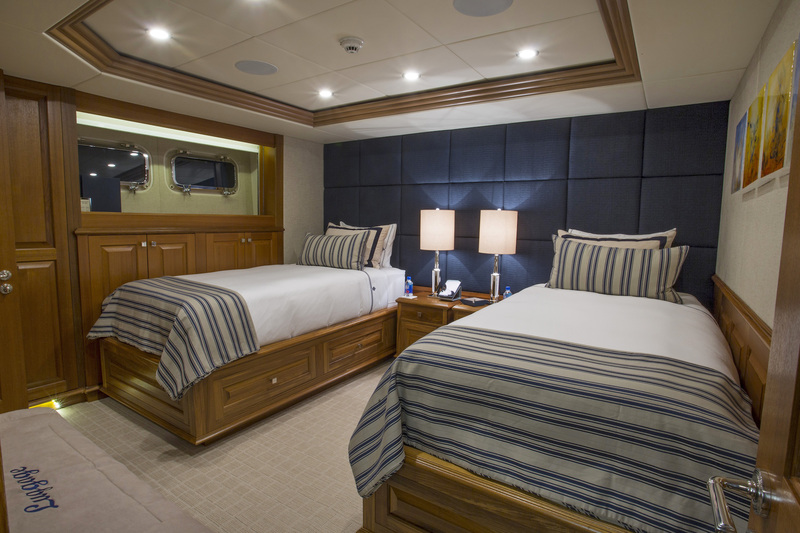 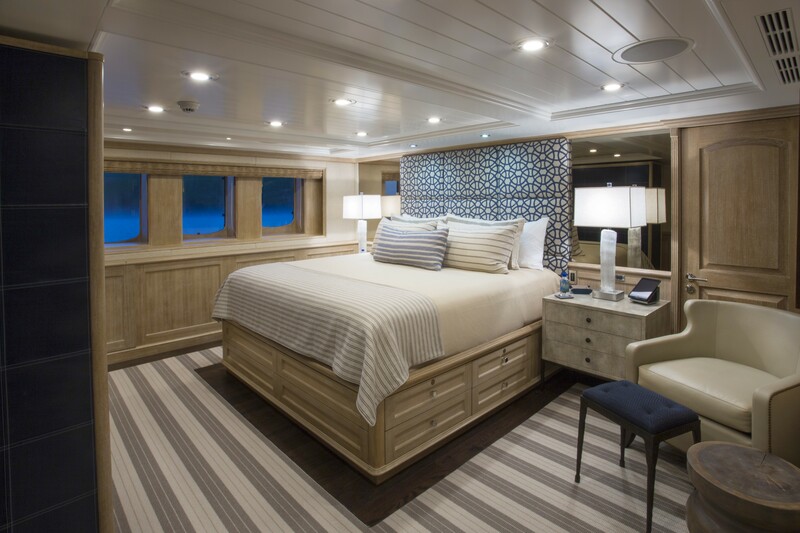 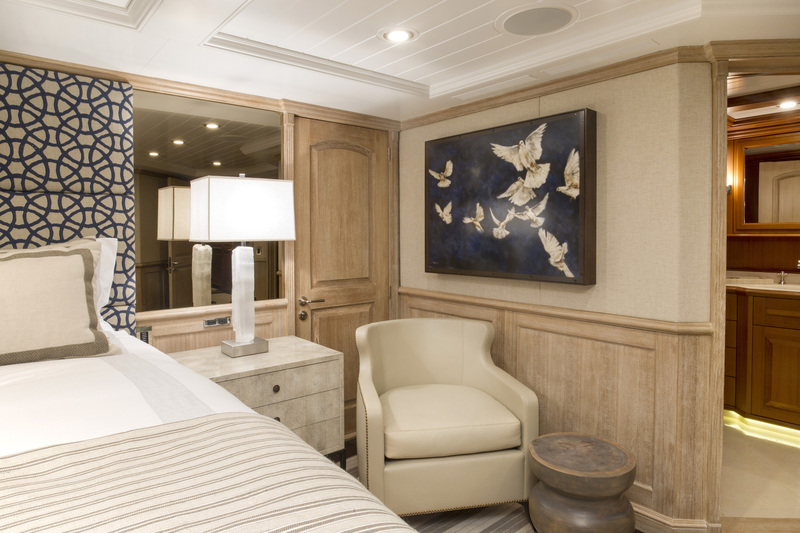 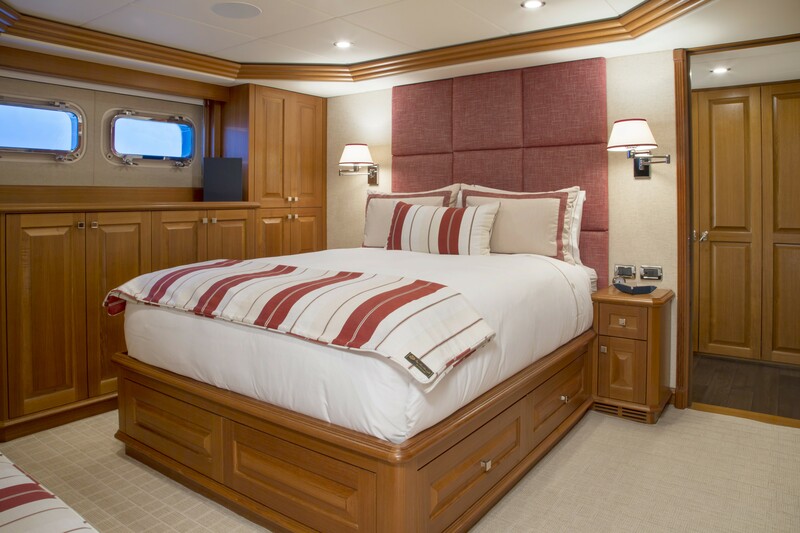 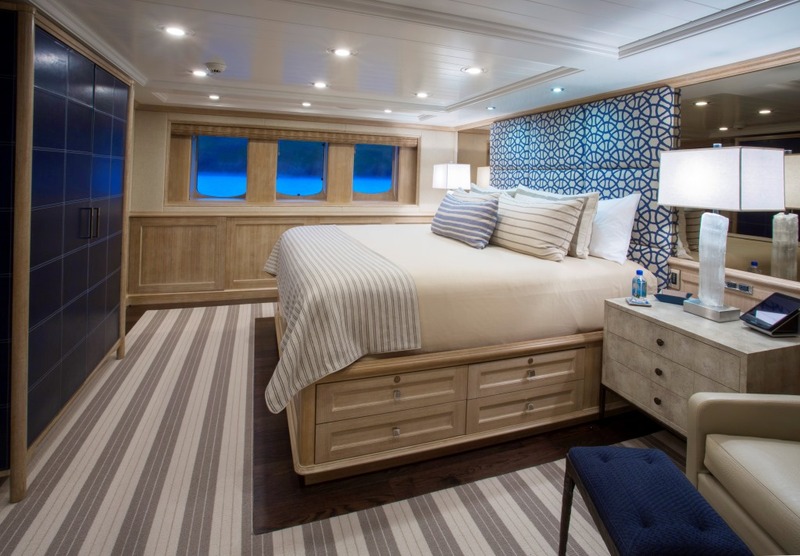 Her master suite located on the main deck has a king bed, a private office and his and hers bathrooms. 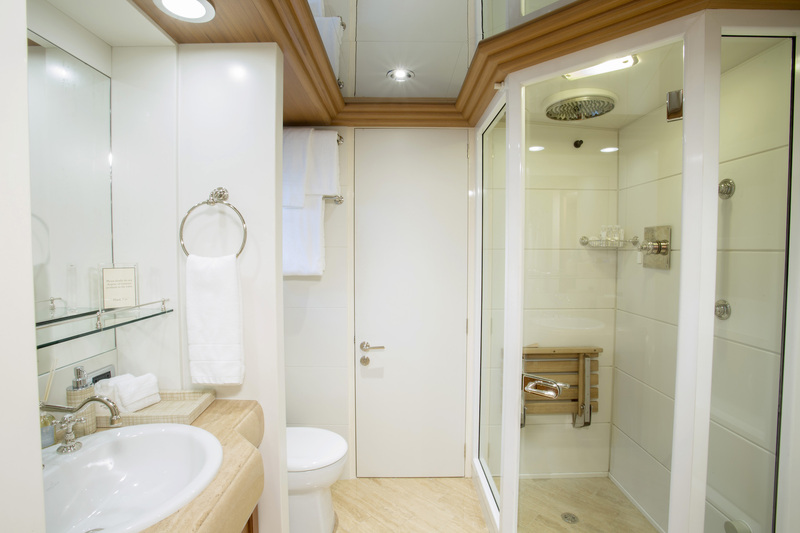 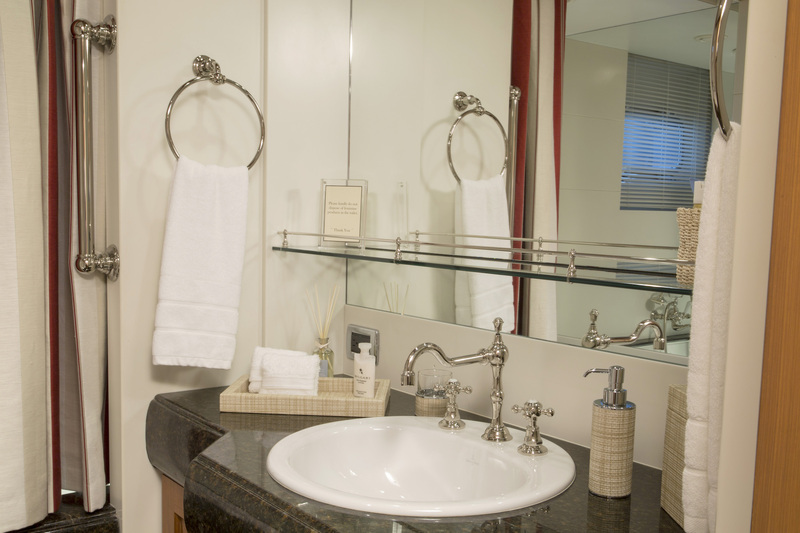 There are a further 4 queens size staterooms, 3 of which had a shower / tub and bidet and one with shower only. 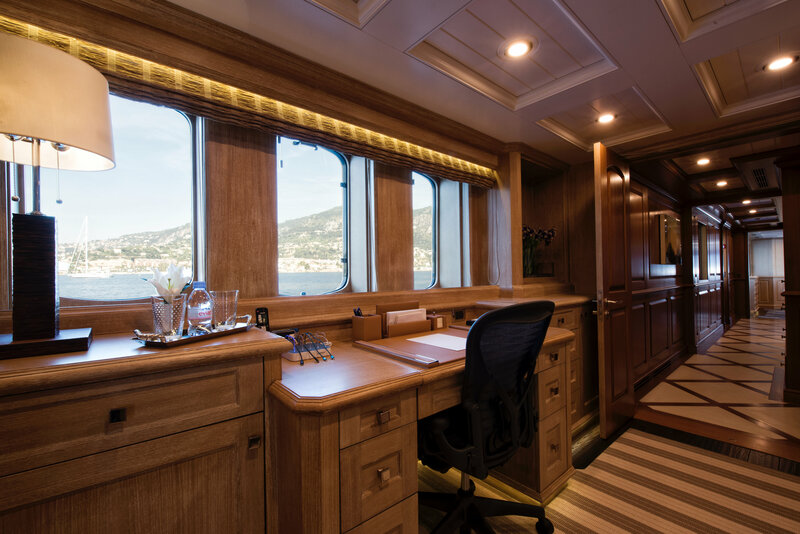 One double cabin also converts into a twin cabin. 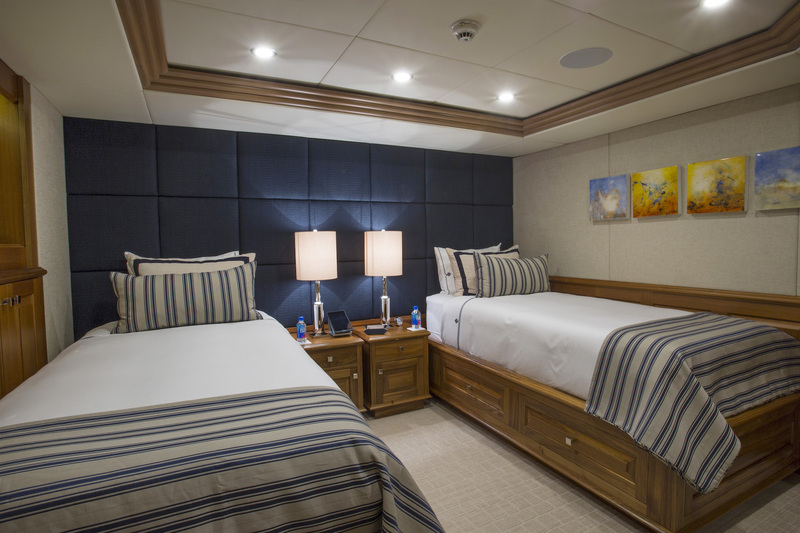 All of the staterooms have a flat screen Satellite TV with an IPOD docking station and Kaleidascape A/V. 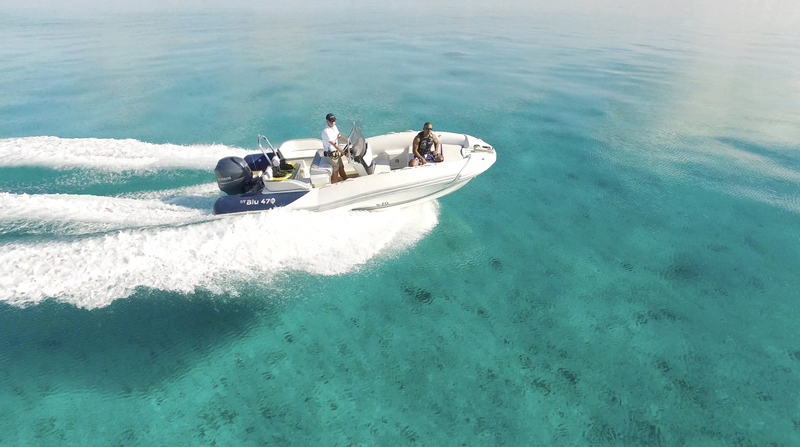 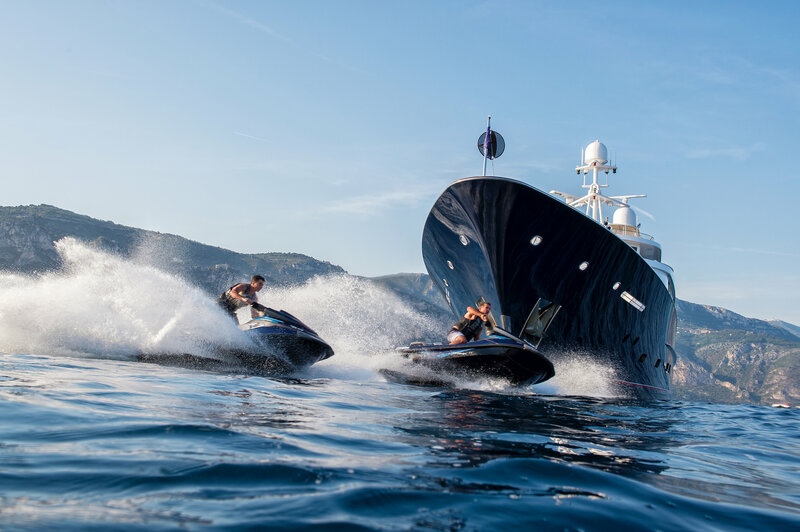 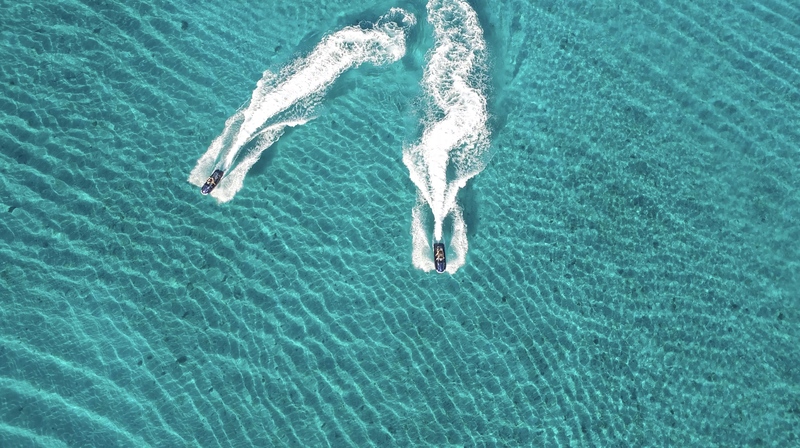 Motor Yacht BLU 470 has full range of extras including the following tenders and Toys: A 37 foot Axopar Tender fitted with 2 x 350 HP Verardo Outboards. 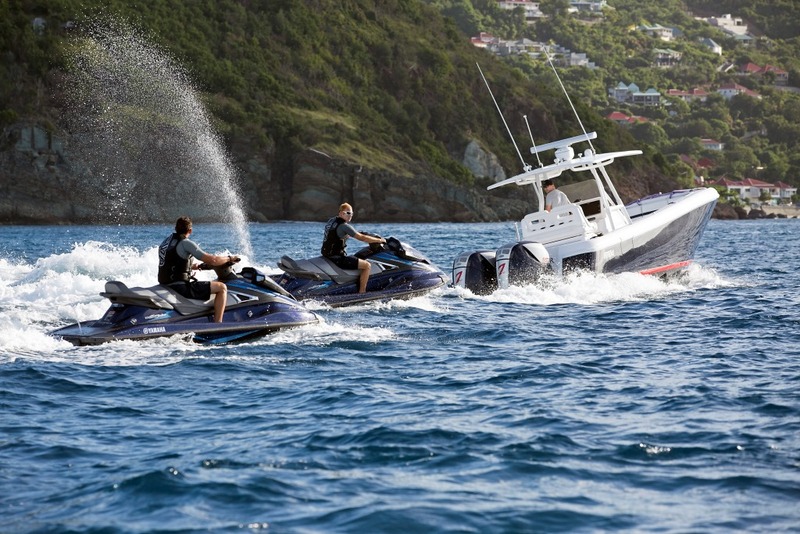 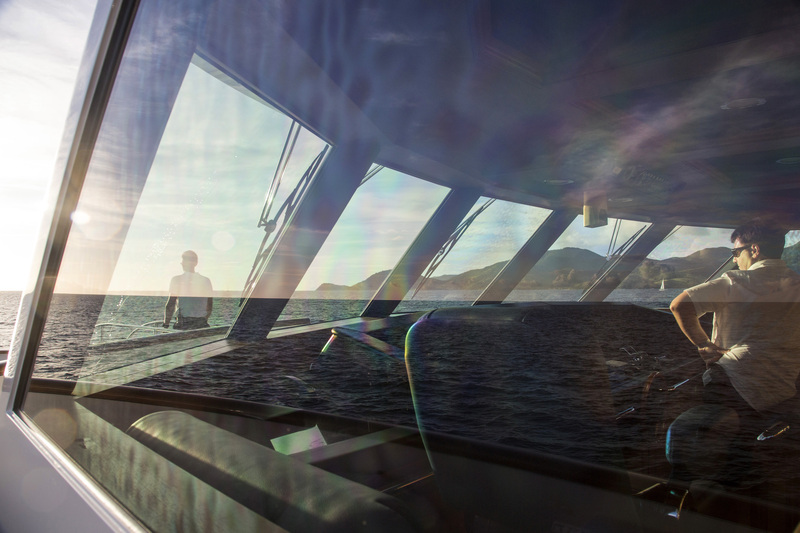 The Axopar is a start of the new state of the art tender equipped with 2 cabins, galley, bar and toilet. 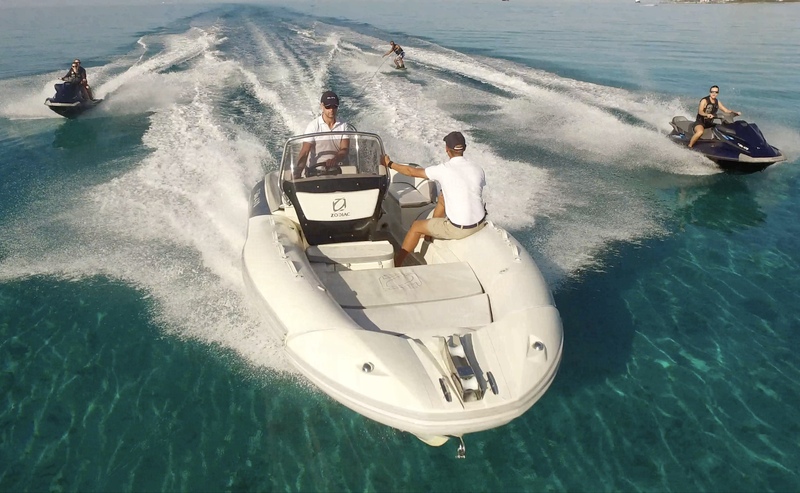 ( New Nov 2016 ) 21 foot Zodiac N70 Rib Tender fitted with 150 HP Yamaha outboard, Ideal for watersports and the beach. 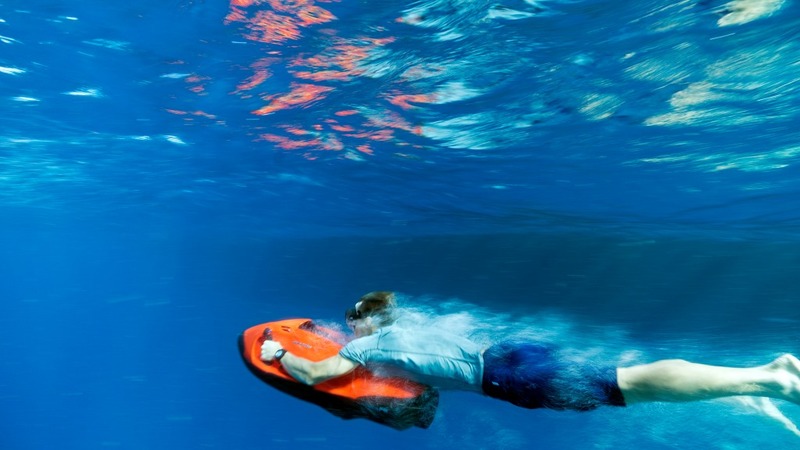 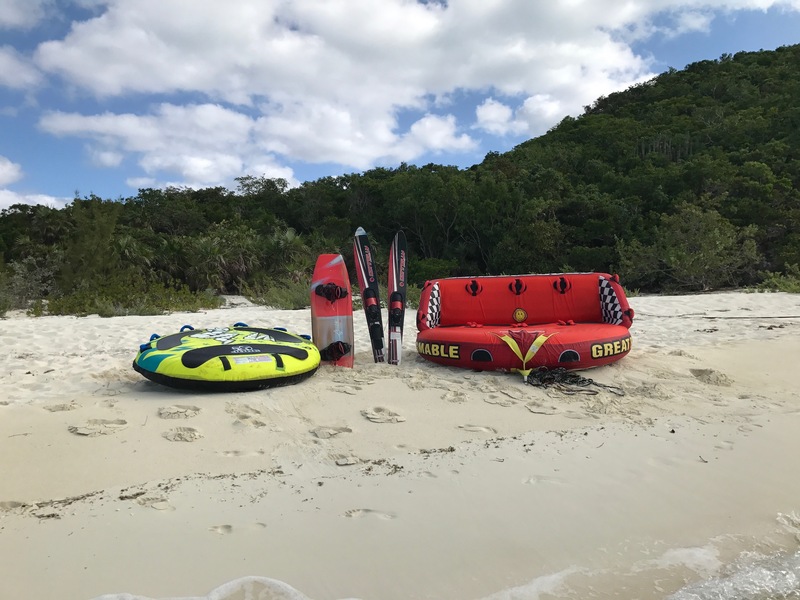 Tiwal sailing boat ( New Nov 2016 ) 3 x F5s Seabobs ( New Nov 2016 ) 2 x Yamaha VX Deluxe Cruiser Jet Skies (May 2015 ) 2 x Inflatable Stand Up Paddle Boards (May 2015 ) 1 x A Clear View Kayak ( New Nov 2016 ) 1 x Inflatable Kayak ( New Nov 2016 ) 2 Sets Mares Diving Gear ( May 2015 ) Wake Board ( New Nov 2016 ) Water Skies ( New Nov 2016 ) Inflatable Pontoon ( New Nov 2016 ) Assortment of snorkeling gear for all ages. 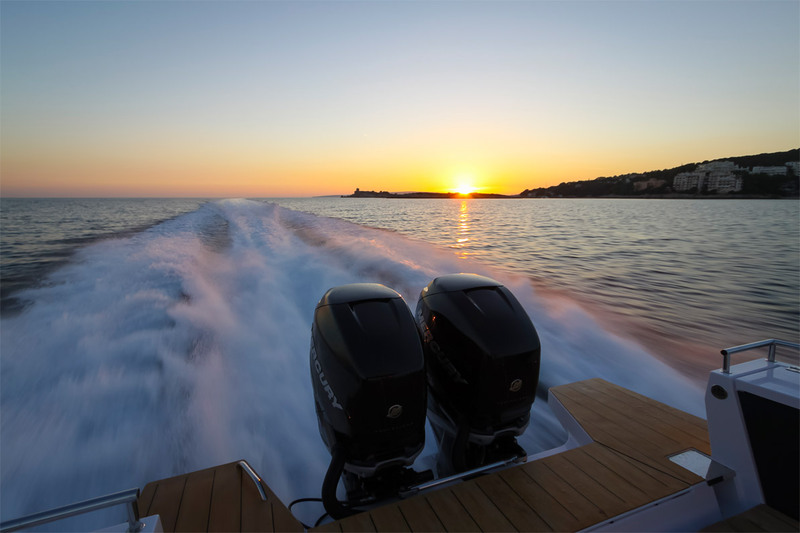 Assortment of Fishing gear. 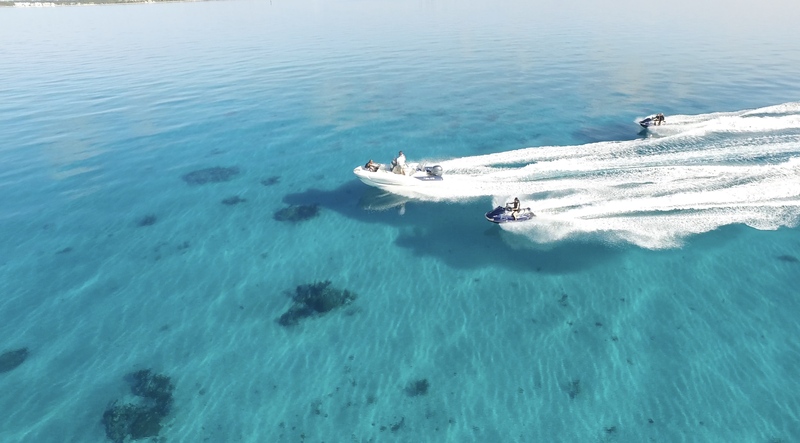 DJI Drone for recording all those special moments . 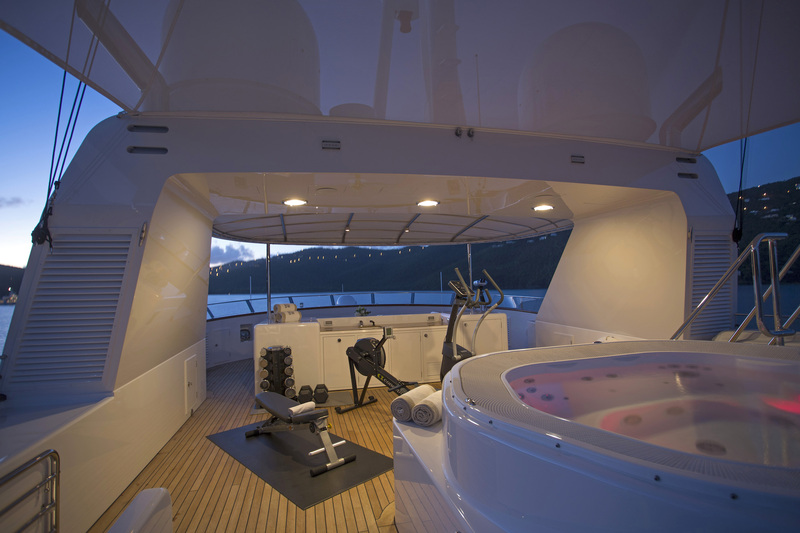 Fully equipped Gym on flybridge with rowing machine, cross trainer and weights.